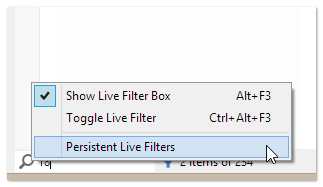 Persistent Live Filters. Now optionally Live Filters persist across folders, and are remembered across tab switches and across sessions. Live Filters survive tab switches, i.e. they are still active when you come back to a filtered tab. Each tab remembers its own current or previously used Live Filter. Live Filters survive across sessions, i.e. you can start up with a live filtered tab. Live Filters persist across folders, i.e. when you browse to a new folder in the same tab the filter remains active. Note that new tabs are opened unfiltered, but they inherit the last used filter from the current tab. So you can turn it on by Toggle Live Filter (Ctrl+Alt+F3). Right-click the icon in the box to see this. 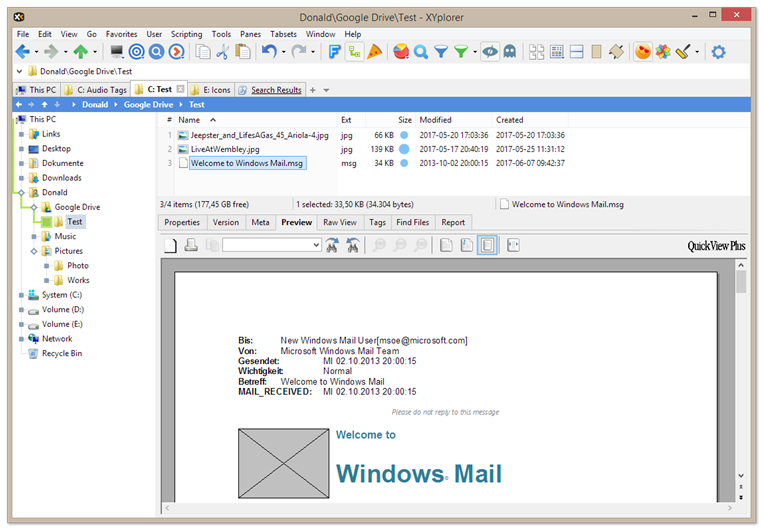 To learn more about Live Filtering in XYplorer see here. User-Defined Preview Handlers. Now you can freely associate particular file types with particular preview handlers. This means full preview control without touching the registry. 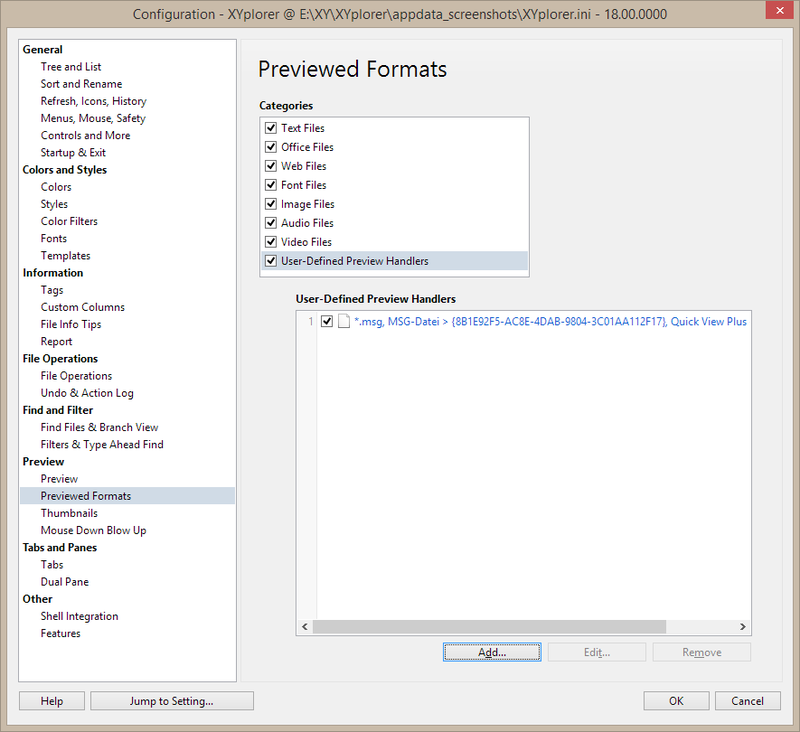 In Configuration | Previewed Formats you find a new category "User-Defined Preview Handlers". Here you can associate file types (identified by the extension) directly with the GUID of any installed 32-bit preview handler. It’s your job to find out the GUID and whether the handler is fit to preview this type of files. So this is definitely an advanced feature. 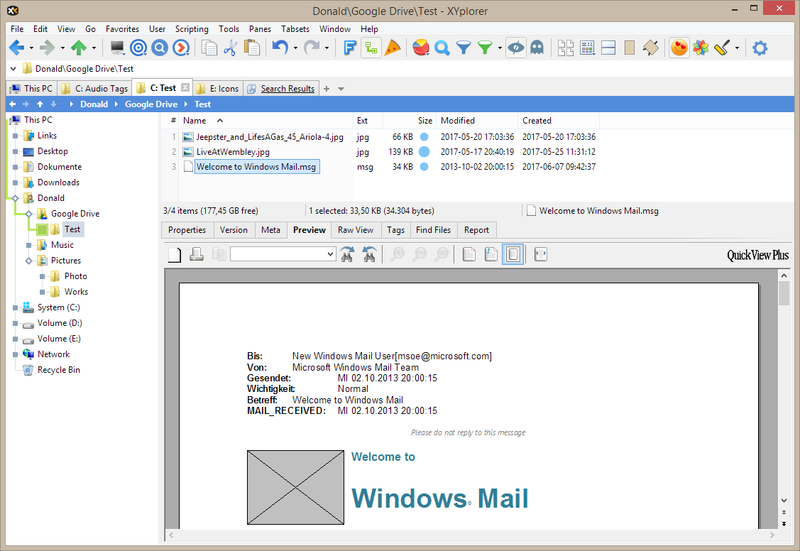 Adding a preview handler for MSG files. 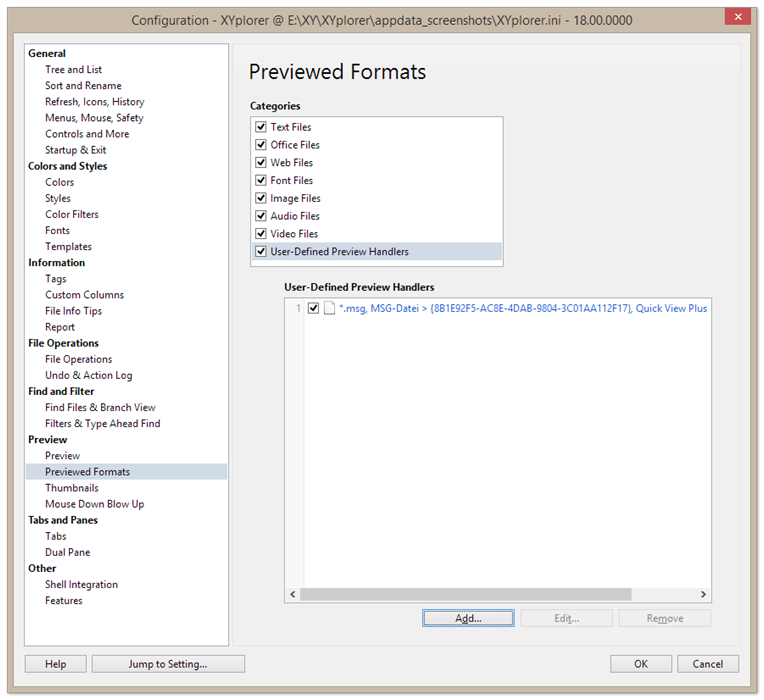 With User-defined Preview Handlers you gain unprecedented control over the preview of particular file types. For example, if you have more than one image preview handler on the system, you can now easily define which is used for which image type, without going into the configuration of each preview handler or editing the registry. This feature also increases portability: You can re-associate preview handlers without touching the registry of the host system.